← Research Survey: Are You Over 21 and ‘Sensitive’ to Environmental Pollutants? Dr Stephen Genuis is someone who has an excellent understanding about environmental and public health. 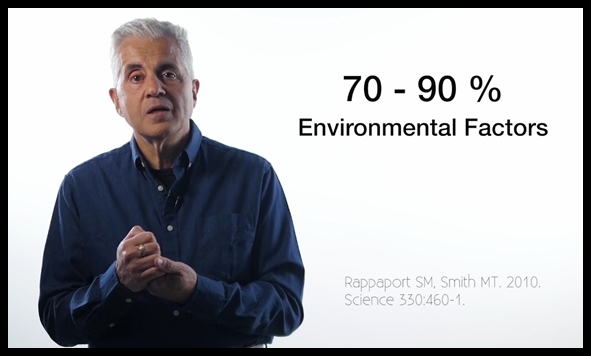 He now has a new website and has also started an easy to understand video series on environmental health, where he discusses causes, effects, and what can be done to help the growing numbers of us who experience environmentally linked chronic health challenges. By “those of us” I (and he) mean many more people than conventional medicine considers to be environmentally affected, and he gives excellent examples of this in the videos (as well as in his research papers). The others can be ‘rented’ online, also via his website. I love the presentation, both visually and with the content, as there are no distracting elements. He makes connections between various seemingly divergent health and environmental issues easy to understand, in a simple, straightforward way. I look forward to seeing the rest of the series as it comes out. I have great gratitude and respect for Dr Genuis and his work, and consider his work well worth exploring. This entry was posted in Education, Environmental Health, Health Promotion, Public Health and tagged allergies, alzheimer's, asthma, autism, cancer, CFS/ME, chemical sensitivity, Chemicals, deficiencies, dementia, environment, exposures, fibromyalgia, MCS, mental health, mercury poisoning, MS, nutrition, petrochemicals, sensitivities, Stephen J. Genuis. Bookmark the permalink. I find that Dr. Sherry Roger’s newsletter “Total Wellness” is another helpful environmental health resource. Her books are also very helpful.